Today (Saturday) was actually our first official day in Disney World. 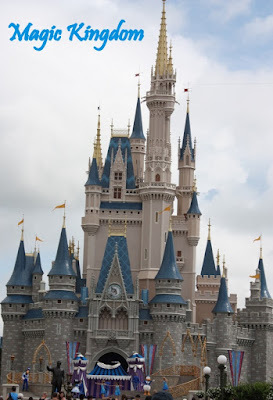 We went to the Magic Kingdom today! They were BEYOND excited! 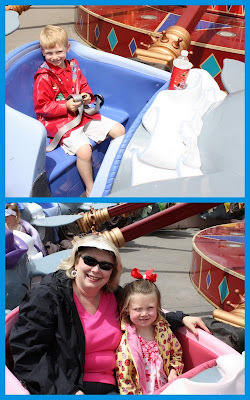 They could not wait to go ride rides and see characters! When we walked in the gates there was Mary Poppins. 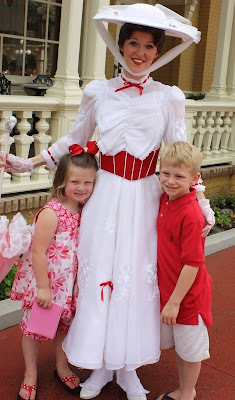 My kids don't really know who Mary Poppins is but she was a character willing to sign their autograph book and that is all they cared about. So Mary Poppins gets the award for the first character to sign the book! 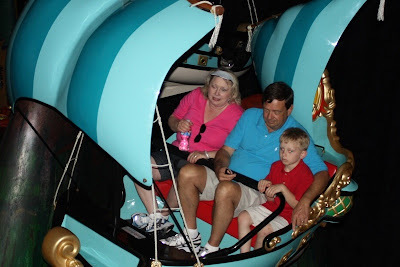 When then headed to the back to start riding rides... the first ride they rode was Dumbo. Brylee had been watching the information DVD from Disney and saw the ride on the DVD therefore that is all she could talk about so we rode it first! When we were in line it started to rain so we grabbed all our rain coats and suited up but thankfully by the time we rode it had stopped which was nice... i was not looking forward to riding Dumbo in the pouring down rain! 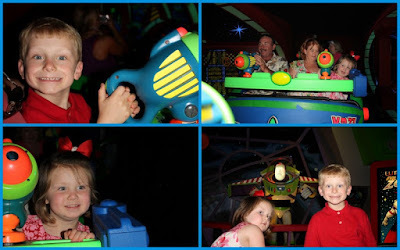 A few other rides we rode that day... Buzz Light Year and Peter Pan! Ariel... it was worth every (30) minute we waited in line to see this precious face. 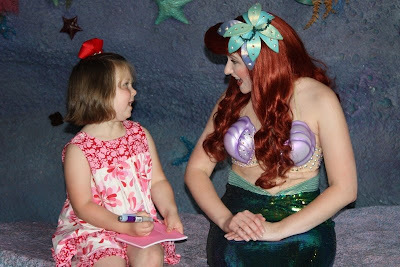 Ariel was great she and Brylee just "talked" and Ariel signed her book and got pictures taken too. Brylee was star struck for sure!! 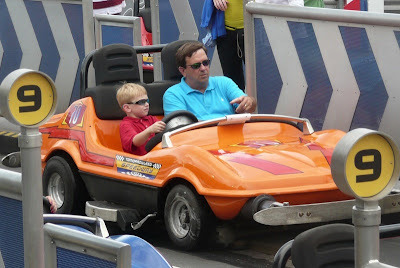 Which Jackson tells us that this was his favorite ride at Magic Kingdom. He got to "drive" a "real" race car all by himself! And I would probably say granddaddy was equally excited to been driven around as well! 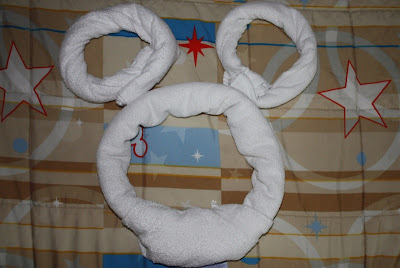 how cute a mickey towel... just like on the cruise ships... towel animals! 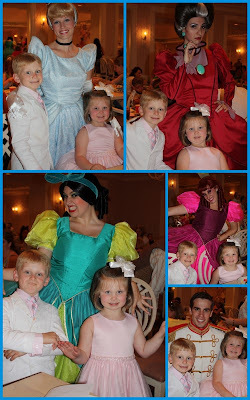 That night we had reservations at 1900 Park Faire where we dined with Cinderella, Prince Charming, The Step Mother and the evil Step Sisters. 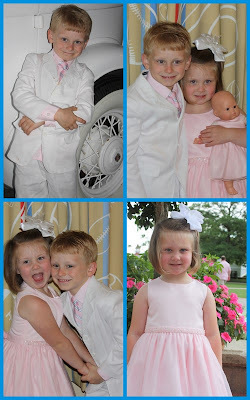 Jackson was a "trooper" to go eat with the princesses and dress up as Brylee's prince as well... such a sweet big brother. Brylee's princess dress also came with a matching doll dress so Babe' got dressed and went with us too! 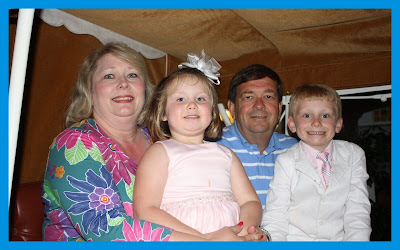 We had a great dinner and Brylee and Jackson too, enjoyed seeing all the characters. 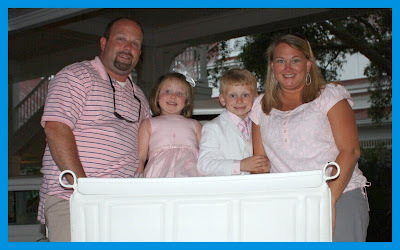 We also snapped a few pictures with the prince and princess in the carriage out front. So that concludes our day... we were going to go back to the park after dinner but it was raining cat and dogs so we just went back to the room, turned in early and got a good night sleep so we could get up and out for our next day to the studio!